This is in stark contrast to our experience as insolvency practitioners, where we have identified a lack of business acumen and a failure to keep proper records as the main driver of business related insolvencies. 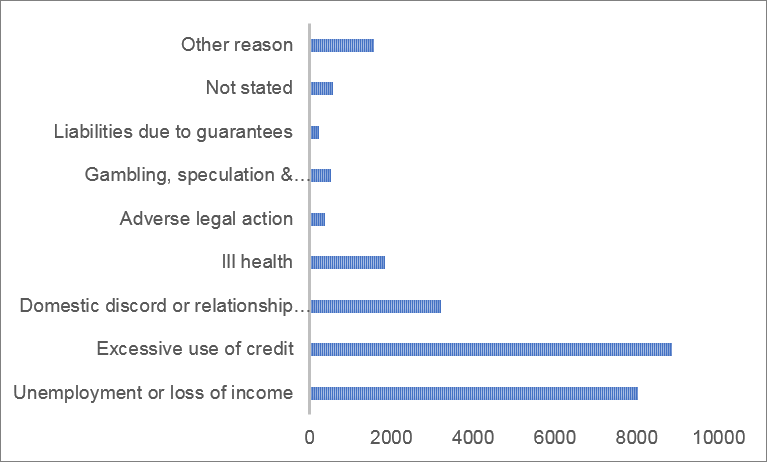 The chart below shows all the major causes cited by debtors. 2016-17 marks the first time since data collection began in 2007-08 that excessive use of credit has taken over unemployment as the main reason for non-business related personal insolvency. 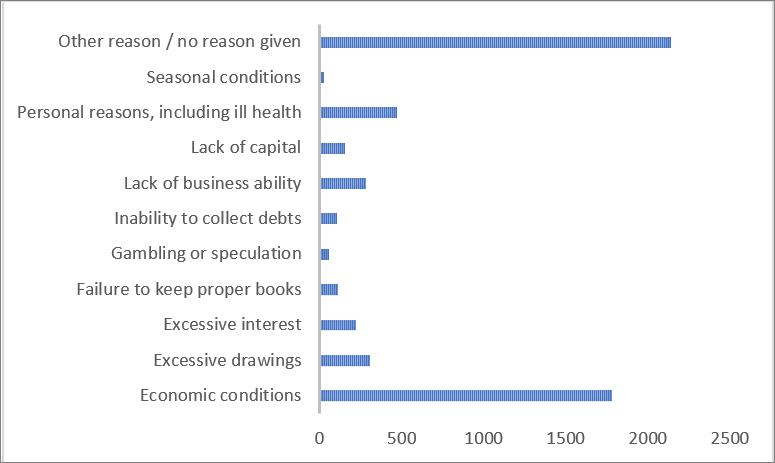 The chart below shows the major causes debtors cite. The trend towards debt agreements looks set to continue. These agreements remain the most aggressively marketed form of personal insolvency and appear attractive to debtors, as they carry less social stigma than bankruptcy. However, there is a potential threat to the dominance of debt agreements on the horizon. This month the government introduced draft legislation to shorten the bankruptcy period from three years to one year. This may significantly increase the attractiveness of bankruptcy as an alternative solution to debt agreements, should the legislation pass. What is a 12-month bankruptcy? More on this in our next edition of ‘Worrells – On The Pulse’.